Let me introduce you to the unconventional beauties that are the Kiko Luscious Cream lipsticks in 523 (black) and 524 (taupe). If you browse beauty blogs, you will frequently find plenty of looks that showcase more unconventional colours than you are used to seeing in glossy magazines. This search for original looks and rainbow colours has originated the creation of some brands that thrive in that niche sector. However, reluctant as I am to buy colour products without being able to test them first, I contented myself with ooohing and aaahin over such looks. Luckily for me, Kiko Cosmetics has in its permanent range some colours that are very interesting and that expand its range into the less mainstream options. 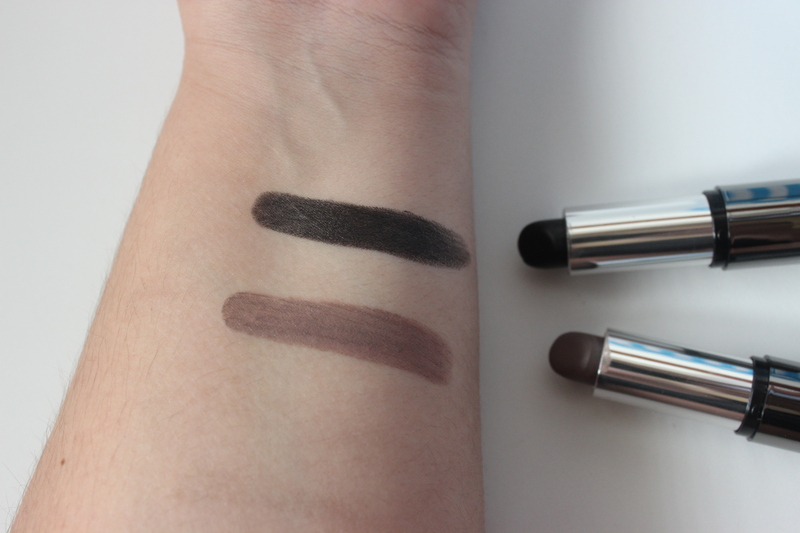 Two such colours are the Luscious Cream lipstick in 523 (black) and in 524 (taupe). The taupe has gathered some online interest after some well known bloggers like Linda Halberg have posted looks featuring it. As you can see the black lipstick is not completely opaque, it has a slight translucency. Depending on your preferences this might or might not suit your needs. Personally, I have worn this lipstick when in costume and really enjoyed how moisturizing it feels. Much much better than having to paint your lips with a black eyeliner. The price (6.90€) is also very appealing for a product that you might not use that often. The taupe lipstick has a beautiful colour, a mixture of mauve and greay. 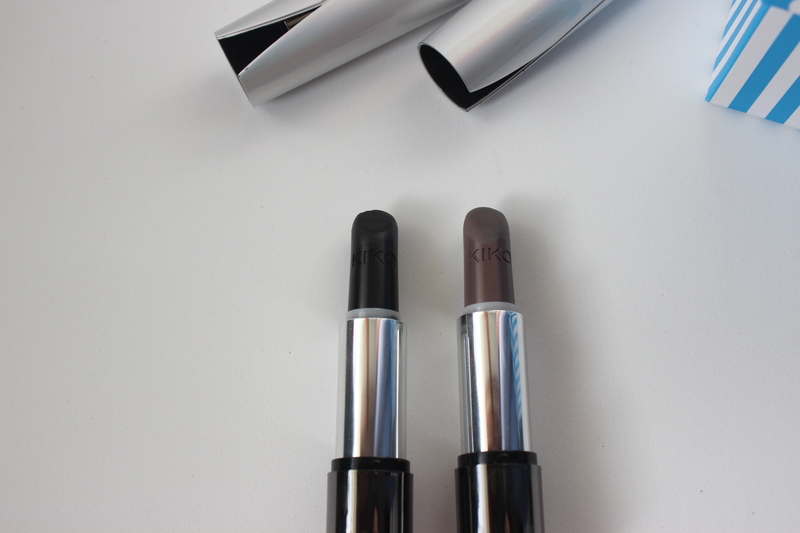 As the black, it also has some translucent quality to it, so your lip colour might influence the final result. I find that since I have warm undertones, whenever I want to wear this lipsticks I have to tweak my foundation or my eye colour so that they do not clash. But, as I only wear these occasionaly, I do not mind the extra steps. In general, I am very happy with these lipsticks as the formula is very comfortable to wear, the colours are nicely done and the price couldn’t be better! What unconventional colours have you tried? These must be soooooo hard to pull off! I don’t have any unconventional lipstick shades in my stash. I am really safe when it comes to lippies. I used to be the most boooring person when it came to lips: no lipstick or just a pinky one. So yeah, those are quite a change from 5 years ago! Not everyday colours for me, but the taupe can be very eyecatching on a night out! Haha these are fun, but most possibly something I can’t wear! I definitely have never gone as unconventional as these. I know that more and more brands seem to make them tho! And yeah, it seems to be a trend. Wasn’t there an armani green lipstick a short while ago?